1950s inspired pastel green pearl and crystal hair pins which ooze elegance and sophistication. Fabulous pops of colour for a green wedding theme. 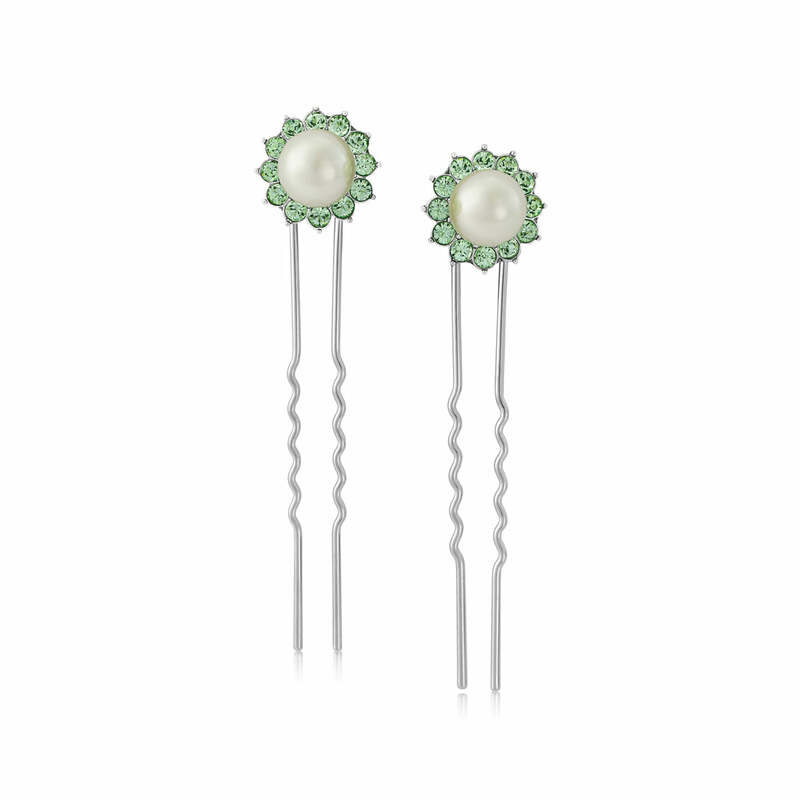 Dainty drops of prettiness precisely describes our Perfect Pistachio Hair Pins. A pale green pearl is perched upon coordinating Austrian crystals for a look that is deliciously dreamy. Inspired by retro hair pins from the 1950s, their feminine colour and timeless design reflect the timeless ladylike charm of this classic style decade. 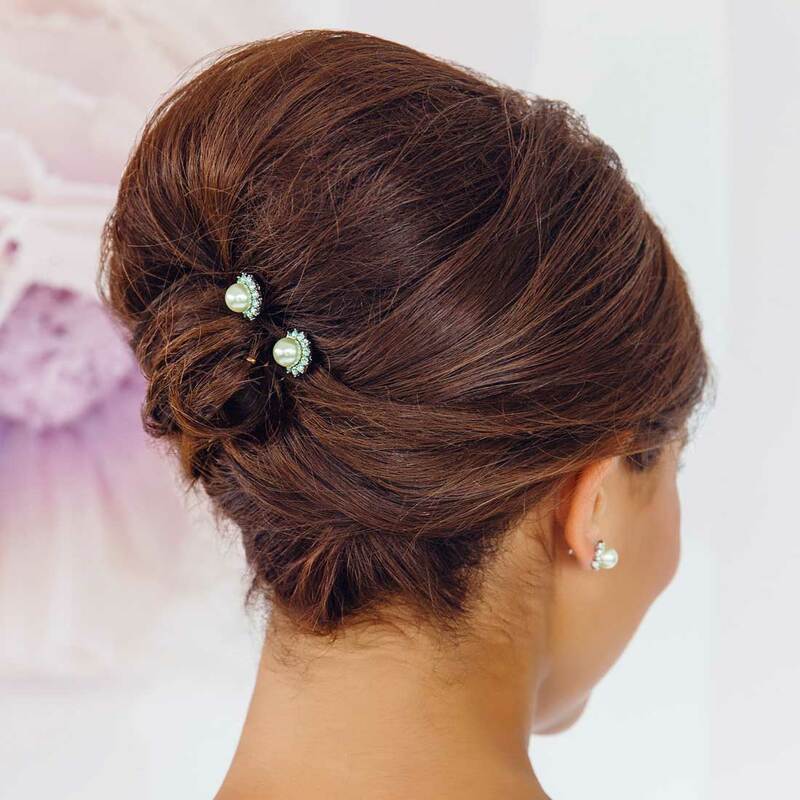 Whether a single pair adorn a French pleat or several pairs are scattered through a romantic tousled chignon, Perfect Pistachio add a touch of beautiful colour. The answer to the bridal party style prayers of brides with a fresh botanical or pale green wedding theme, our Perfect Pistachio Hair Pins will adorn your bridesmaids hair with a charming vintage touch to enhance your colour scheme. With a coordinating jewellery collection in this sumptuous shade, you can mix n match your wedding accessories until your heart’s content.